Welcome to Vail Village Club Apartments in Dallas, Texas. Nestled in the mountains of Vail, Vail Village Club Apartments is reminiscent of a Colorado ski resort, offering a relaxed and carefree lifestyle to its residents. Residents will have their choice of a one or two bedroom floor plan, which boast cozy fireplaces, elegant vaulted ceilings, and beautiful hardwood flooring. If you prefer life outside of your apartment, pursue your fitness goals with frequent swims in our sparkling pool, practice your three-pointers on our outdoor basketball court, or release stress in our well-equipped fitness center. From the moment you walk through the front doors, you will fell a sense of comfort and security instituted by our numerous amenities, meticulously groomed grounds, and bucolic clubhouse that will whisk you away to the mountains of the Southwest. 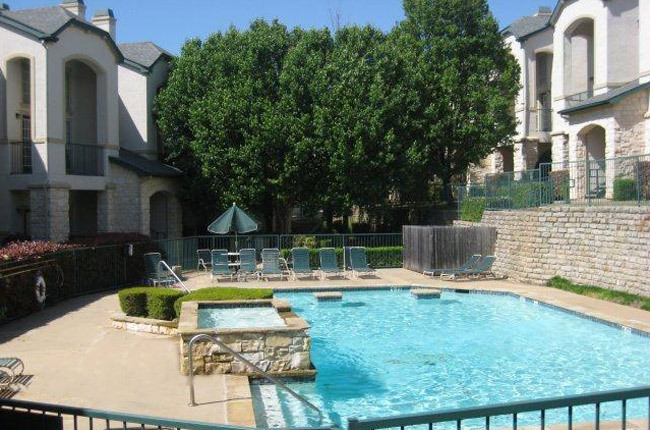 Located on Briargrove Lane, Vail Village Club Apartments provides a central location in the heart of Dallas, Texas. Within a short drive from our apartment community, residents can indulge in a number of delectable restaurants such as Sushi Robata, III Forks Steakhouse, and The Island Spot. For outdoor enthusiasts, our Vail Village Club Apartments is within walking distance of Barry H Barker Park, a five-acre oasis of lush greenery. Best of all, we are within twenty miles of Downtown Dallas where you will discover a plethora of informative museums, first-class shopping, and other popular local attractions. If you ever feel like escaping Dallas for the weekend, Vail Village Club Apartments offers close proximity to Interstates 35E and 635, the President George Bush Turnpike, and the Dallas North Tollway. Visit us today, and discover all of the benefits of our central location.